Well who doesn't love a good pair of jeans? 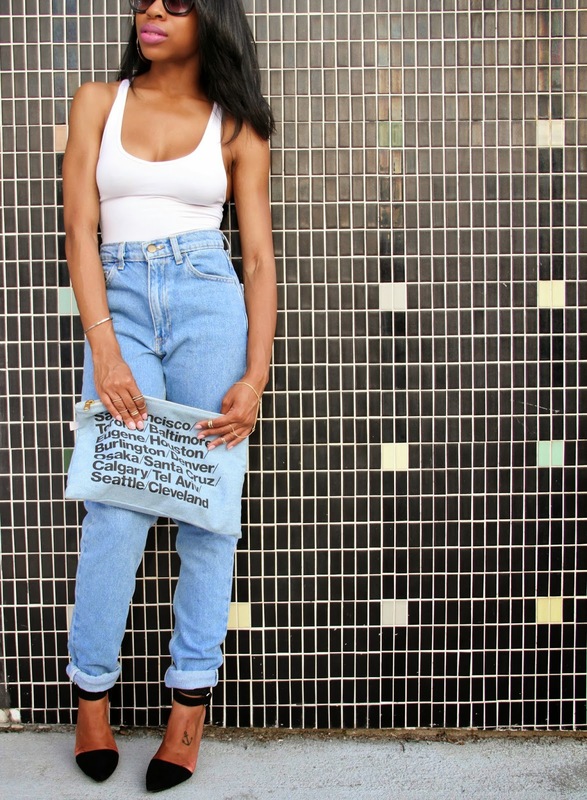 Denim is hot & trending right now, and with a million ways to dress it up, or dress it down, I've simply decided to be plain. Pairing a good white tee with the right wash makes for a simple, yet stylish look. My best friend introduced me to "mom jeans" earlier this year & it took me months to finally go out and get a pair. I thought I wouldn't be able to pull them off since I'm so petite, but I'm so glad that I did!! These jeans have become my absolute fave. 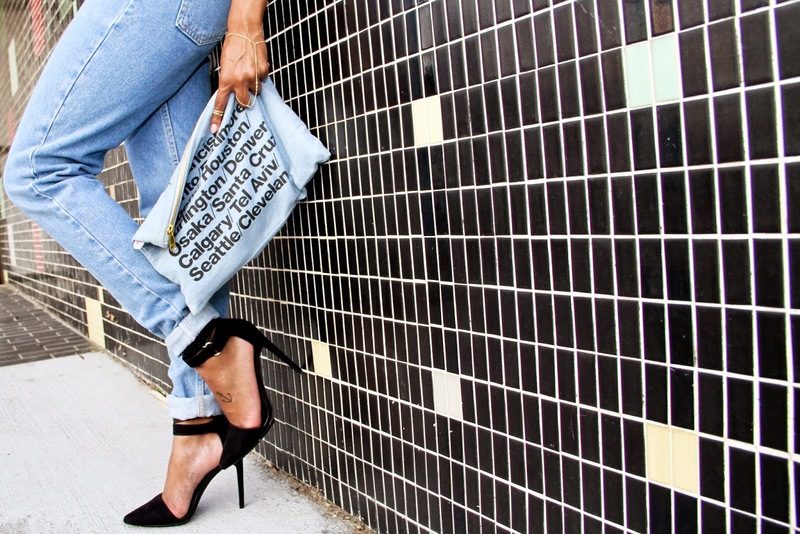 With a great pair of pumps and my denim clutch, I was ready to take on the world! In my blue jeans and my white shirt. Polish- "It's a Girl" x O.P.I. Thanks so much girly 😁😘 I really appreciate that!! And I'll be sure to check out your blog as well! !